Over the past 12 years, the Jersey Shore Festival has established itself as the premier emerging artist festival on the east coast. Artists of all ages and all genres are welcomed to Seaside Heights, to perform on our stages, network with industry professionals, and have a true Jersey Shore Experience. 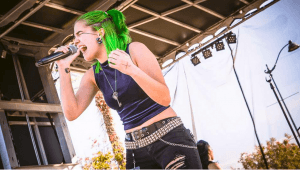 The event organizer’s mission is to create an environment that allows industry VIP’s to find new talent, artists to make new contacts, and fans to find their new favorite bands. Aside from the music, they also strive to add other entertaining events throughout the weekend, including action sports, charity events, food trucks, the JSF Vendor Village, and more. 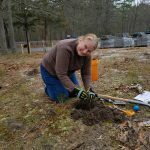 Enjoy this unique opportunity to join a professional and knowledgeable botanist for a short presentation followed by a walk through the beautiful 40 acres of Browns Woods outside the Barnegat Bay EcoCenter. 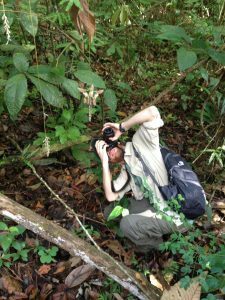 Don’t forget to bring a sample of that pesky plant you have been curious about-Jason Hafstad can help you identify it! FREE event Beach Ball-a-Palooza on the bayfront hosted by Ocean County Parks & Recreation. 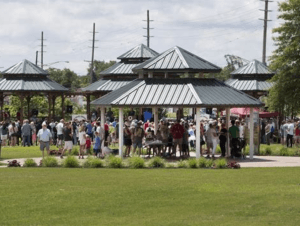 Music by Jimmy and the Parrots, nature walks, Bay Boat tours on Pontoon Boats, games, crafts, nature walks, dancing, inflatables and community information. Bring a beach chair or blanket. FREE shuttle from parking at Cattus Island County Park. ***Event details may change at any time. Please review the official website or check with the event organizer when planning to attend the event. The Toms River Artist Community is holding an outdoor Art in the Park event in Huddy Park. Come and see what your local artists have created. There will be paintings, sculpture, jewelry, and notecards on display, many items will be for sale. 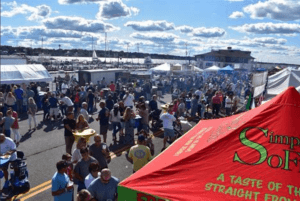 This FREE family event features sailboat races in the morning, crafters and vendors, great food vendors including food trucks, inflatable kiddie rides, 50/50, adult beverages for purchase is hosted by the Rotary Club of Toms River! 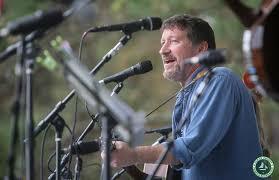 This event benefits many local charities and high school scholarship program. 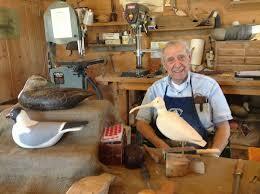 Barnegat Bay has a rich history in duck hunting and decoy carving. This two day festival boasts exhibitors, contests, food, local vendors, and environmentalists that all originate with a passion for Barnegat Bay! Ocean County Decoy & Gunning Show at the Tuckerton Seaport in Tuckerton, NJ. 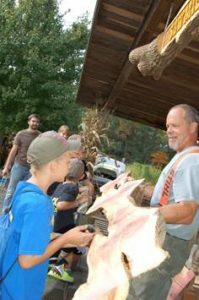 The show will focus on bird books, decoy carvings, antique duck carvings, gunning decoys, quack decoy items. It will attract many visitors designers, artisans, artists, decoy handicraft and exhibitors. Enjoy the day and learn about the forest surrounding you. Some of the fun activities of the day will include: • Maple Sugaring • Nature Walks • Crafts • Forestry Displays & Demos * Greater Pinelands Dulcimer Society • Classroom Presentations Given by Naturalist and Much, Much More! This is a FREE event for everyone. In October 2015, the JSMF was started as an experimental, experiential, educational, and non-profit annual community event, a FREE and free-wheeling celebration of creativity and imagination that’s part MythBusters, science lab, county fair, and art studio. It consists of 70-100 maker booths and workshops, a drone/RC field, an EdTalk studio with live interviews and motivational presentations, competitive and instructional robotics arenas, and the annual town Green Fair. Over 350 makers and 13,000 attendees have joined us these past four years. Come be part of the fun and learning! Enjoy the Music of the Pines, Cultural Demonstrations & Lectures, Traditional Crafts & Crafts, Kids Crafts and Games, Nature & History Programs, Food, Free Shuttle Buses and more…Rain or Shine!